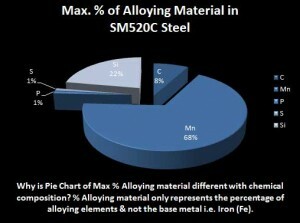 What is SM520C Steel? SM520C Steel is hot rolled steel for welded structure in the form of plates, sheets & strips for architecture, engineering structures. 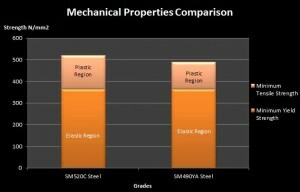 SM520C steel is a material grade and designation defined in JIS G3106 standard. JIS G3106 is a Japanese material standard for hot rolled steel for welded structure steel plates, sheets, strips for Architecture, Engineering Structures. 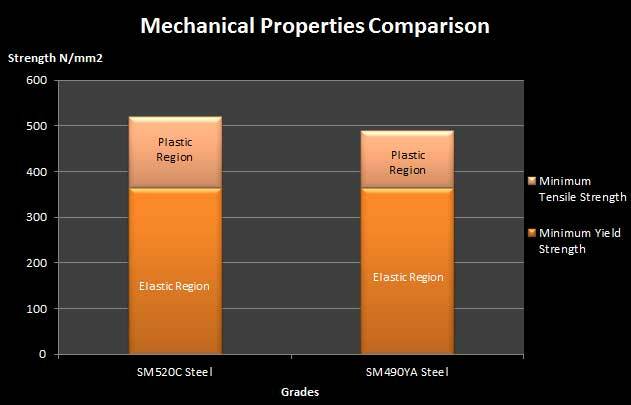 The hot rolled steel for welded structure SM520C steel is more reliable in its tensile strength than SM490YA steel. Dimensional Characteristics of SM520C steel: The applicable thickness for this SM520C steel material as defined in the JIS G3106, it is from 6 mm to 300 mm. Mechanical Properties of SM520C Steels: The tensile strength of the SM520C Steels is expressed in Newton per millimeters and it must be at-least 520 N/mm2 (MPa) and maximum can be 640 N/mm2 (MPa). The yield strength is minimum 365. The elongation property of SM520C Steel varies with the ranges of thickness. The minimum percentage range for elongation is 15. 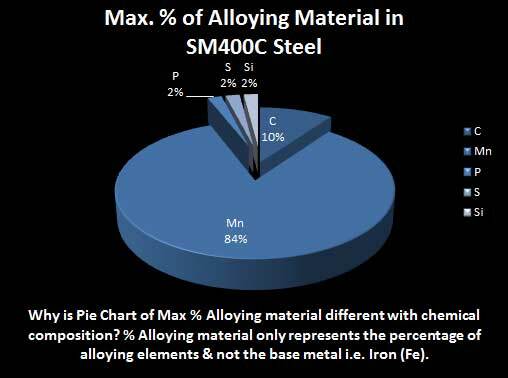 SM490YA comparison with this grade of Steel material will show how SM520C differs with SM490YA in chemical composition & mechanical properties. Applications of this kind of steel are in manufacturing welded structures, constructions and fields.